Professor Basky Thilaganathan was appointed Director of Fetal Medicine at St George’s Hospital in 1999. His research interests focus on Maternal-Fetal medicine, with a particular interest on placental dysfunction and preeclampsia (TED talk: http://bit.ly/2i1SqDk). He completed his postgraduate training at King’s College London and St Bartholomew’s Hospitals, culminating in awards of MRCOG (1995), MD in Fetal Medicine (1996) and Certificate of Completion of Training (1998). He was awarded the Fellowship of the Royal College of Obstetricians and Gynaecologists (FRCOG) and an Honorary Doctorate (PhD) from Uppsala University in 2007. He has authored two undergraduate and five postgraduate text books in obstetrics and fetal medicine. He is the lead trainer for the Maternal-Fetal medicine sub-speciality training program at St George’s Hospital and was Editor-in Chief of Ultrasound in Obstetrics and Gynaecology, the medical journal affiliated to ISUOG from 2010 to 2018. He has authored over 250 peer-reviewed publications in indexed journals. 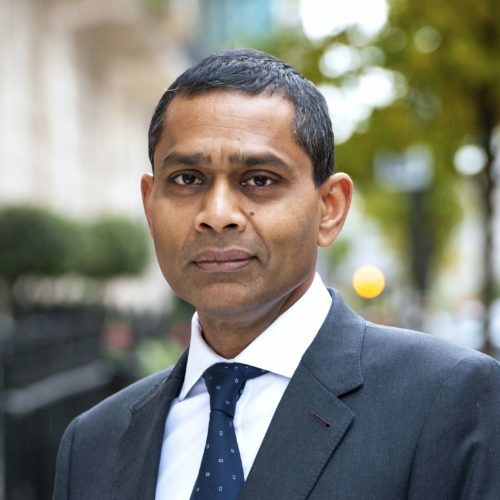 He is a Council Member on the Royal College of Obstetrics and Gynaecology (RCOG) and represents the RCOG on the UK National Screening Committee and Department of Health Saving Babies Lives Care Bundle oversight committee. He is also the Clinical Lead for the development of the first dedicated high-throughput cfDNA screening NHS lab to undertake cfDNA aneuploidy screening in pregnancy (www.theSAFEtest.co.uk).